ROGUE Carnival was born out of the desire for a NEW experience in Trinidad & Tobago mas. An experience that goes against the grain. One that doesn’t follow the norm. A Carnival Monday and Tuesday that is, as the band’s name suggests – ROGUE. The Army crafted the concept. What was missing was the execution. To make this alternative in mas a reality, we turned to our mas specialist comrades, TRIBE. ROGUE is the product of two professional powerhouses – one in the field of creative event production, and the other in mas production and management. 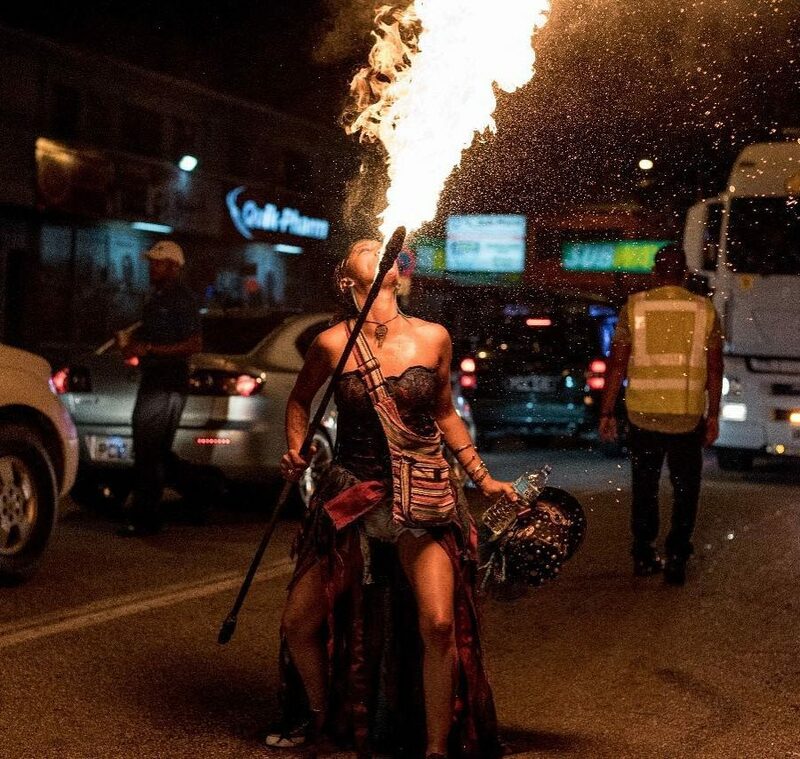 Caesar’s Army, renowned for events like A.M.BUSH, Mai Tai, Bacchanal Road and TRIBE, Carnival and Mas production gurus, join forces to provide the reveler with an unforgettably unique experience. You and your crew may have different tastes in costumes, but why should that stop you from painting the road RED together? Throw away that old “get in yuh section” rule. Cross the stage with your WHOLE team in any costume you choose. One male costume to 9 female costumes. One God to 9 Goddesses. The Roman Goddesses rule the ROGUE, but Mars is happy about that. Lime late Carnival Sunday night and Meet We on the ROGUE, late too. ROGUE is the ONLY mas band that allows you a few extra hours to prep for battle on Carnival Monday. As the sun sets, we LIGHT UP THE ROGUE with LED’s – a street party bedazzled by all of the lights. But it doesn’t end there. Later, we head to a PRIVATE site, where the Rise of Mars continues. When last you fete ‘til 9 PM on Carnival Monday Night with LED’s as your lights, and food and drinks as your fuel? On Tuesday we sleep later (again) to prepare for the final battle from 9.30 AM: pretty-mas. But before we take the ROGUE, the #REDArmy assembles for a “Bubbly” Breakfast Brunch. Mars will Rise by the End of the ROGUE. The Rise of Mars concludes when we #TEAMUP with our TRIBE, Lost Tribe, BLISS, Harts and PURE families for a special Carnival cool-down in our very own ROGUE Zone.